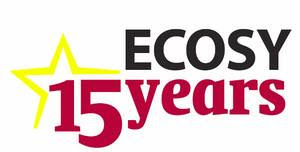 I didn’t have time yet to congratulate ECOSY for his 15th anniversary. I was not in Den Haag last weekend for the celebration, but never than less I want to send my fraternally regards to all of those who was there. Especially to all of the friends that I had the opportunity to gain in the years that I was in the Ecosy Bureau and in the stressful but beautiful moments that I spend with them in the Cascais Congress and Ecosy Summer Camp that we held in Figueira da Foz. For all of you an “as you wish” and “tomorrow” with friendship. I hope see you soon in Lisbon for the Ecosy Bureau.